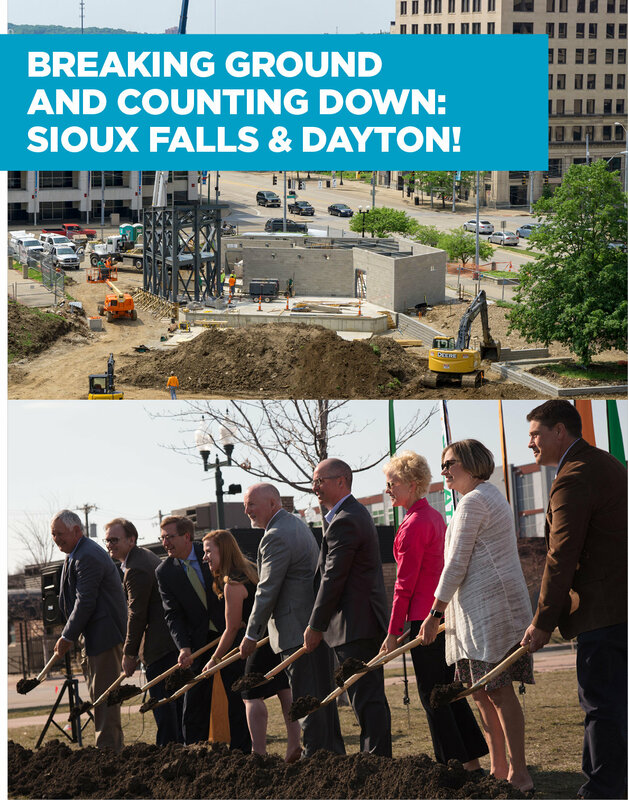 The countdown is on for the launch of Levitt Pavilion Dayton's inaugural concert season, plus construction is now underway for Levitt Shell Sioux Falls! Learn more about the inspiring, community-driven efforts to bring these two permanent Levitt venues to life. 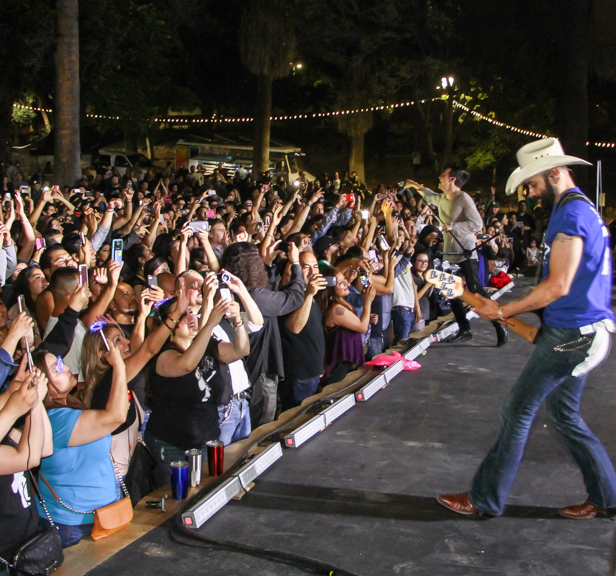 Community is at the heart of every Levitt concert. 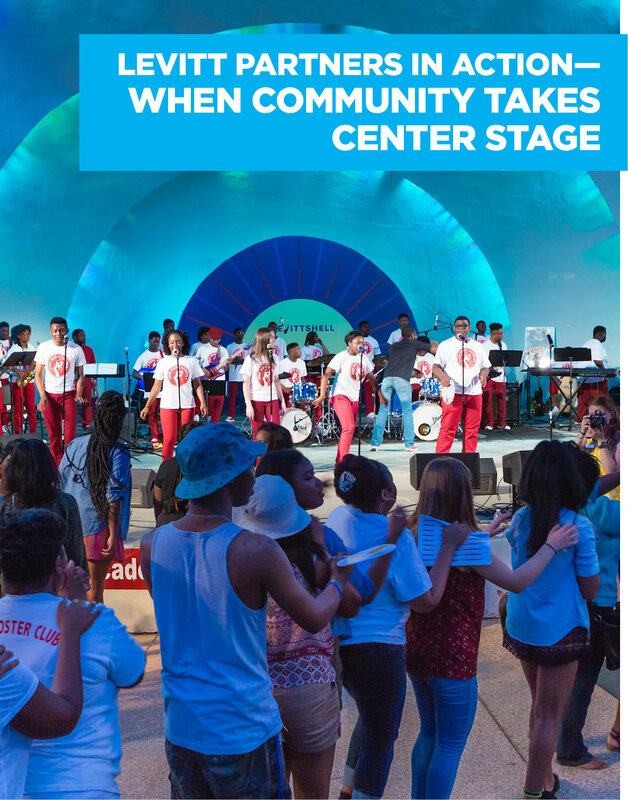 Check out how Levitt stages around the country are putting their community partnerships into the spotlight through special on-stage appearances, cultural performances, student showcases and more! Find out when Southern raconteur Paul Thorn and GRAMMY-winning gospel legends Blind Boys of Alabama will stop at a Levitt stage near you this summer. 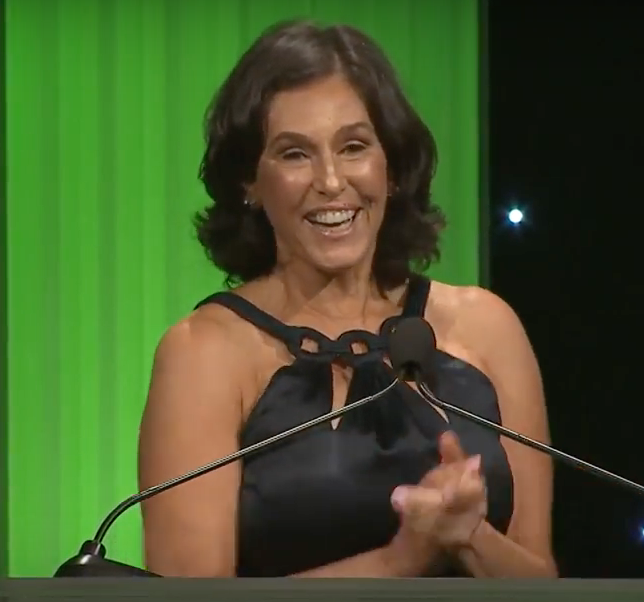 Last month, visionary Board President of the Levitt Foundation was honored by social justice leader Liberty Hill Foundation. Read more on our blog! 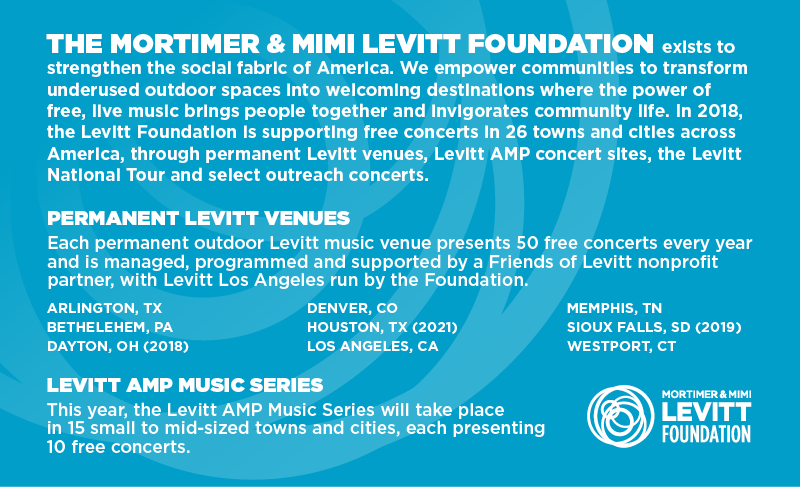 2018 Levitt concerts are here––check out the dates for free, live music in 26 towns and cities around the country!